With Readly you can read HTML5 & CSS3 Genius Guide and thousands of other magazines on your tablet and smartphone. Get access to all with just one subscription. New releases and back issues – all included. Making a website is something that just isn’t possible without the aid of HTML. It is the basic framework of the World Wide Web and we rely on CSS to make the styling consistent and easier to manage. 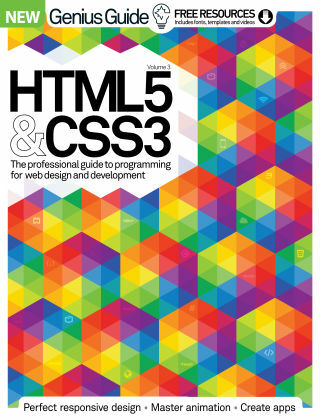 In this new volume we offer you the tools you need to become a web design master. Within these pages you will learn the art of responsive design and have access to free online assets to help you develop your skills.